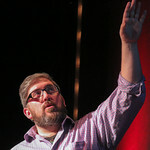 Over the last decade, I have presented talks and workshops on multiple facets of web design and development. 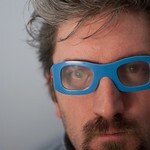 Jonathan Snook is a designer and developer from Ottawa, Canada. Snook's 20+ year career includes working at agencies, product companies, and his own business. Currently working for Abstract, he has also worked with Yahoo!, Shopify, Apple, Delta Airlines, AOL, Squarespace, and Xero. He writes at Snook.ca. 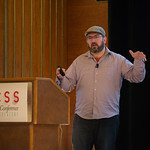 He has also written for A List Apart, 24ways, and .net magazine, and has co-authored two books, The Art and Science of CSS and Accelerated DOM Scripting. Snook has also authored and received world-wide acclaim for the self-published book, Scalable and Modular Architecture for CSS, sharing his experience and best practices on CSS architecture. Snook is a designer and developer from Ottawa, Canada, working at Abstract. Previously at Shopify and Yahoo!. 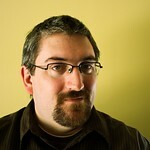 He writes at Snook.ca and has written the successful, self-published book, Scalable and Modular Architecture for CSS. This workshop will shift how you think about writing CSS. It will simplify your code, making your project easier to manage, and allowing it to grow without creating an increasingly brittle system of dependencies. Your code will also be more portable, making it easier to use components in various contexts and in other projects. In the last few years, we've seen an emergence of a modular way of thinking about code and design. We've seen the rise of SMACSS, BEM, and Atomic Design. This talk will look at those modular concepts and how they can streamline development for large and long-running projects. We'll also look at how these approaches can ease responsive design and development. Lastly, we will look at where the modular approach is going in the future as Web Components slowly make their way into browsers and application frameworks. CSS is easy? CSS is messy! And as a project grows, it only gets messier. You find yourself throwing !important at everything or fighting with long selectors just to get a style to overrule another. This session looks at a few quick tips to help bring things under control. A jack of all trades and master of none. We’re told that we can either go deep on a particular topic or go general. After all, how can someone actually know everything about everything? However, with the right focus and plenty of time, we can become magical unicorns of design and development. For many people, as it was for me, writing a book is a feather in their cap. It’s a moment of pride to hold your work in your hands. How to Write a Book looks at the hurdles—technical and otherwise—in writing a tech book including how and why you might self-publish. By the end of the session, maybe you’ll be inspired to write your own book. CSS Architecture Between frameworks, preprocessors, and package managers, getting a web project off the ground seems to require a lot of tools. Have the days of opening up a single CSS file in a text editor disappeared? This session will look at workflows that can help us work quickly and easily to build a performant and scalable site. CSS Workflows from the Ground Up Between frameworks, preprocessors, and package managers, getting a web project off the ground seems to require a lot of tools. Have the days of opening up a single CSS file in a text editor disappeared? This session will look at workflows that can help us work quickly and easily to build a performant and scalable site. Getting your CSS Under Control CSS is easy? CSS is messy. And as a project grows, it only gets messier. This session looks at a few quick tips to help bring things under control. Proliferation The web development industry has gone from simple to complex in less than twenty years. Long gone are the days of being a webmaster uploading HTML files via FTP. From front-end to back-end, every facet is filled with a plethora of technologies and skills to understand. Newcomers are overwhelmed. Testing is daunting. Is there an easier way? Your CSS is a Mess CSS is easy? CSS is messy. And as a project grows, it only gets messier. This session looks at a few quick tips to help bring things under control. How to Write a Book A look into why you might write a book and how you can do it, based on my experience on writing books with publishers and self-publishing. Scalable and Modular Architecture for CSS Find yourself throwing !important at everything? Or fighting with long selectors just to get a style to overrule another? As a project (and team) grows, we fight against the growing complexity of the CSS in our projects. This hour of power will bring you an exploration of the common pain points in CSS development and the techniques that can be used to avoid them. Your CSS will be leaner, meaner, and modular, allowing it to scale to new heights! Yahoo! Mail A look into how keyboard access was handled on the latest version of Mail. Participated in group discussions on development within large organizations. CSS3. Browsers have been making leaps and bounds to support CSS3 but what does that mean exactly? CSS3 is a deep and still-evolving standard that is made of multiple parts. We'll take a look at what those parts are, what browsers currently support, and what we can expect in the future. Now CSS has become much bigger now and is increasingly doing things that we used jQuery for. This session will take a look at what CSS has to offer and how it compares to using jQuery. The Future of Cross-Platform Front-end Development. Remember when building a site meant only having to worry about Internet Explorer? Now we have multiple browsers, desktop application platforms, and the mobile web to build for. We'll take a look at how we can approach large-scale development to ease the burden of supporting multiple components across multiple platforms while still providing an optimized experience for our users. The Type We Want. Recently, custom type on the web has gone from a slow evolution to a rapid succession of new technologies, and new services. This session will cover the history of embedding fonts, diving into the options available to us today and finally taking a look at the hurdles still ahead. Rocking iPhone and Android development. Smartphones are here to stay, and with them come many opportunities for creating engaging applications that are both profitable and useful. Learn how to get started, and discover tips, tools and tricks to stay ahead of the curve. HTML5 and CSS3. Held an informal session to cover many of the interesting things that browsers are implementing. The Type We Want. After a slow evolution, the landscape for custom type on the web has been changing quickly. This session will cover the history of embedding fonts, diving into the options available to us today and finally taking a look at the hurdles before us. RIAs: Building for the Desktop with the Web. This session will take a look at two prominent desktop platforms, AIR and Titanium, and examine some of the pros and cons of developing with that environment. We'll also take a look at ways to speed up development using rich components like jQuery UI and take advantage of the features of HTML5 and CSS3 that can be used right away. The Type We Want. Using your choice of fonts on the web is coming of age. Historically, we've had to make do with a small, safe list of font choices or use images to get more imaginative. From there, we've seen the rise of Flash-based and canvas-based font embedding. CSS3 holds new promise and browsers are implementing the features we need to accomplish easier font embedding on the web. There's still plenty of obstacles and confusion and this session will shed some light on the dark art of font embedding on the web. Building Adobe AIR Applications with Dreamweaver CS4. Join me as I shows you how to use existing web and Ajax development skills to build AIR applications using Adobe Dreamweaver CS4 and the Adobe AIR Extension for Dreamweaver. Building on the Shoulders of Giants. Even in the early days, developers had libraries of code that they could bring into their project. Today, this level of sharing has proliferated to every level of development from frameworks, to APIs, from client-side to server-side. Companies such as Google, Yahoo, AOL are opening up their data. This session will examine the pros and cons to building on top of these giants, delve into the tools that are available, and look at how quickly applications can be deployed. Ajax and Design. It's time to add some polish to AJAX, a part of the web that has become so popular that everybody wants to get their hands on a piece of its sleek nature. This is a session that focuses on using AJAX effectively in your designs, adding more meaning to the term than just the superfluous effects it's known for. The Holy Trinity of Web Design. A panel with Sally Carson, Dustin Diaz, myself and moderated by Cameron Adams. We talked about working within web development teams and having to be able to bridge that gap with sales/managers and the clients.